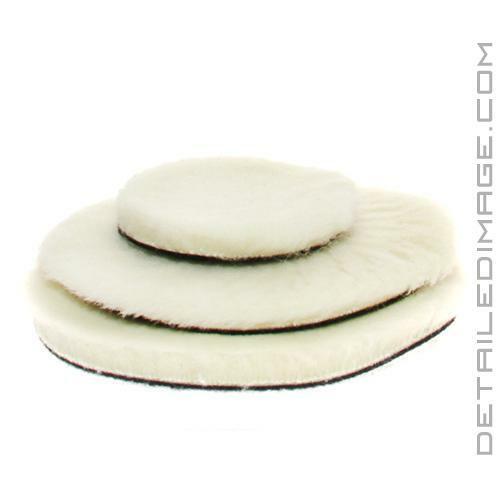 Buy 3 Get 1 Free Lambswool Extra Cut Low Lint Pad - 5.25"
The Lake Country Lambswool Extra Cut Low Lint Pad will make quick work of any swirls, light scratches and other heavy imperfections you may have! The secret to the polishing power of this pad comes from the high-quality lambswool that is knitted and prewashed. It is matted directly to the hook and loop backing, no foam interface. Without the foam interface, you will be able to achieve a high level of correction on any machine that you are using (rotary or DA). The low lint wool provides you with residue control and plenty of polishing power, while the center hole helps dissipate heat away from the center of the pad. This increases your polishing results and the overall durability of the pad. If you have used the Lake Country Blue Hybrid Foamed Wool Pad, you know how well they remove deep imperfections, while finishing down great. Lake Country rates the Blue Hybrid Foamed Wool Pad at around an "7" cut, with an "8" finish. However, if you need more polishing power, the Lake Country Lambswool Pads are your answer. Lake Country rates these pads at a "10" cut and "4" finish. What you sacrifice in finishing, you will gain in corrective power! 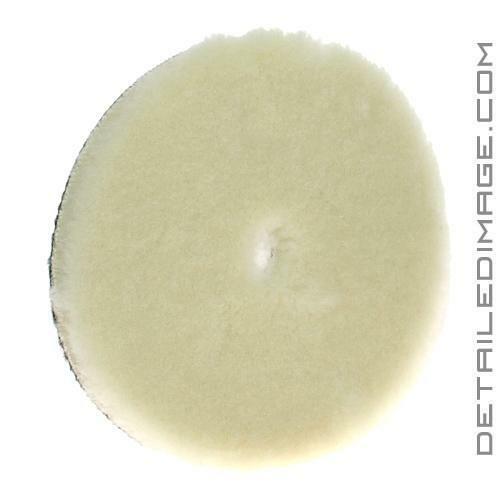 If you are looking for a heavy cutting wool pad, the Lake Country Lambswool Extra Cut Low Lint Pad is worth adding to your detailing pad collection! Lake Country Lambswool Foamed Interface Low Lint Pad - Low Lint, Knitted Lambswool, Foam Backing. Lake Country Lambswool Extra Cut Low Lint Pad - Low Lint, Knitted Lambswool, Center Hole, No Backing. Great cutting pad if your looking for rotary results but using a DA. There's some lint but once you get it seasoned then it works like a champ and easy to clean. Definitely going to buy a few more.